Siemens Energy has received an order from Sinopec Jiujiang Petrochemical Company for the supply of a refinery wastewater treatment system that includes PACT biological treatment, Wet Air Regeneration (WAR) and a Hydro-Clear filter system, and a Zimpro wet air oxidation (WAO) system for spent caustic treatment. Both of these systems are key components in Jiujiang Petrochemical's upgrade to meet the new national discharge standards for wastewater and for water re-use. The Jiujiang refinery is located in the Jiangxi province of China. Start-up is targeted for the end of 2014. The PACT / WAR system will treat oily wastewater for reuse in the refinery, enabling biological treatment of wastewater using powdered activated carbon. The system will also treat salty wastewater from the refinery process to meet stringent requirements for discharge into the Yangtze River. 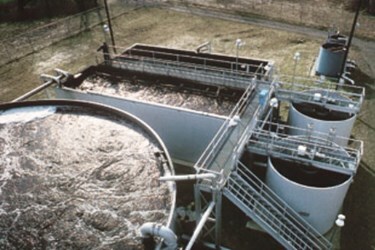 The WAR unit provides for treatment of the activated carbon used in the PACT process, which is a biophysical wastewater treatment process. The WAR unit simultaneously regenerates the spent carbon and destroys the associated biological solids with a regenerated carbon recovery rate of up to 95 percent, helping to avoid expensive sludge dewatering and disposal. The Zimpro WAO system will be used to destroy reactive sulfides in the refinery spent caustic, and to break down complex phenolic compounds prior to final wastewater polishing in the PACT system. "Siemens is proud to partner with Sinopec in these environmentally-friendly operations", said Mario Azar, CEO of the Business Unit Oil & Gas Solutions within the Siemens Energy Sector. "The reliable and effective solutions provided by Siemens in this project will help in their efforts, especially in the sensitive Yangtze River area. We look forward to further expansion of our business in China, a key market for our Water Solutions business."